\o/ Let's go into Imperial City! That sounds very great and ambitious! You always put so much effort in the community and guild, it's wonderful to see all the plans and things for out future! If I can help you and Nicky with your work and events, never hesitate to let me know. 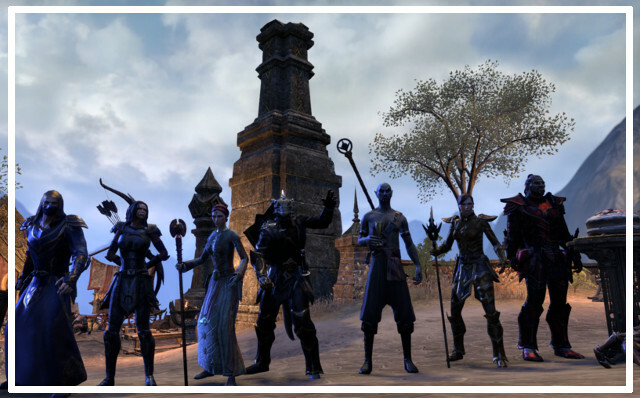 ESO is a beautiful part of the WS community and very special and precious in its own. I hope it can be this blossomed flower you wish it to be once more and that all your hopes come true! Great ideas. Looking forward to a bright future of ESO Whitestar! I hope I can come to some of the events =) even tho I'm not technically a Whitestarian anymore I still have my heart with it's people. Cool plan and thanks for continuing to invest in the guild and organise events! It's sort of covered by the above but would also be fun to do DLC dailies and Craglorn dailies and group quests. Well I am planning to do an event in eso aimed at world content like world bosses and skyshards, but I need to plan it and do a different area each week.